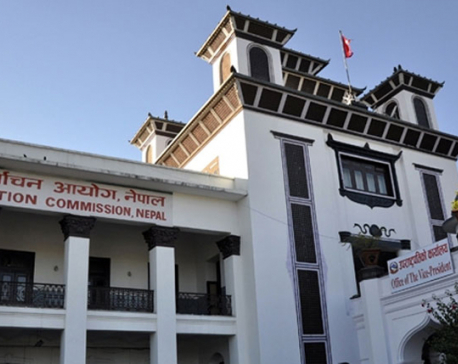 KATHMANDU, March 30: Inter-Agency Common Feedback Project (IACFP) under the United Nations Resident Coordinator's Office has been found working in earthquake-affected areas without the required permission, according to the National Reconstruction Authority (NRA). 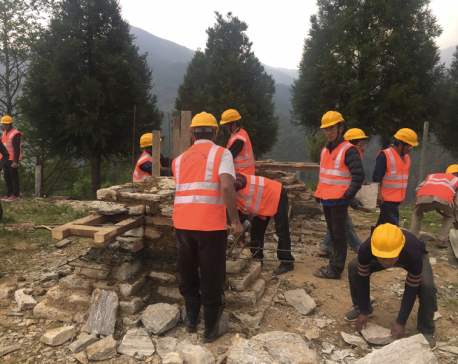 Asked whether NRA has signed any agreement with IACFP or given it permission to implement its programs in quake-affected districts, NRA officials on Wednesday said no agreement has been signed with the project so far. Multiple sources linked with IACFP claimed that the organization has been working in the fields of food security, livelihood and reconstruction in Gorkha, Nuwakot and the other worst quake-affected districts. IACFP has been conducting various post-earthquake related research activities since the 2015 quakes without taking permission. “The project conducts advocacy, collection of data and other research-related work in all 14 quake-devastated districts,” said a source seeking anonymity. Yam Lal Bhoosal, spokesman at NRA, said that NRA has not issued any permission to the project nor signed any agreement on work in the districts in question. Bhoosal said the Authority strictly bans NGOs from working in the quake-affected districts without formal permission. “We have already endorsed guidelines for the mobilization of NGOs in reconstruction work. NRA has strictly barred NGOs from such work without seeking permission and the signing of a Memorandum of Understanding (MoU) with NRA,” Bhoosal told Republica. Any organization involved in post-quake projects needs to submit a proposal to the authority for final approval. “Although this project is running under the UN body and it is not mandatory for it to sign an MoU with us, they have to submit their detailed work proposal,” Bhoosal said. Asked why the project is working in Nepal without permission, Bronwyn Russel, the project manager for IACFP, claimed they didn't need to sign any agreement with the government as they were operating under the UN . “It does not require any MoU,” she told Republica. NRA spokesman Bhoosal further said that even UN agencies should inform the reconstruction authority and their work proposals should get endorsed. “Their proposals make clear their style of working with the quake victims,” he added. Sources further claimed that the project is heavily funded by the Department for International Development (DfID), Oxfam and World Vision International Nepal. “All the donors are INGOs and they are also conducting their post-quake rehabilitation work in different quake-hit districts with permission from NRA. We are puzzled why separate projects under these INGOs are working without permission,” said another source. Russel is also said to be working in Nepal without a work permit. Sources claimed that Russel is in Nepal on a tourist visa. Informed sources said she was previously fined $ 495 by the Department of Immigration for breaching visa rules. NRA Spokesman Bhoosal said a work permit for post-disaster work is mandatory. IACFP had landed in controversy after it produced a report mentioning that the NGOs were 90 percent effective compared to only 40 percent for government agencies, while dealing with post-disaster recovery.